Fabian Knecht builds gestures. Between the activity stretched out towards the goal to reach and the spontaneous irruption piercing the weave of time, the paradox is obvious. Once stated, temporalities, logical categories crash into one another : building gestures is an oxymoron. At most could we sharpen our abilities, practice some of our skills in order to prepare the field into which a series of upcoming potential gestures will enter. To understand the artist’s modus operandi, we must nevertheless embrace the oxymoron and dispose of our placid claim to array language as we would of a superfluous piece of clothing. With Fabian Knecht, the focus is set on a unique occurence that might extend to the specific space-time continuum that receives it. The formal title he usually gives to his work already claims it : they all bear the name of an action, the German -UNG suffix indicating it’s a question of process and not a thing in itself. The actions performed by the artist are often straightforward (a simple gesture), however expansive their manifestation might be. Though they don’t illustrate nor proclaim, they nevertheless come to reprogram reality. 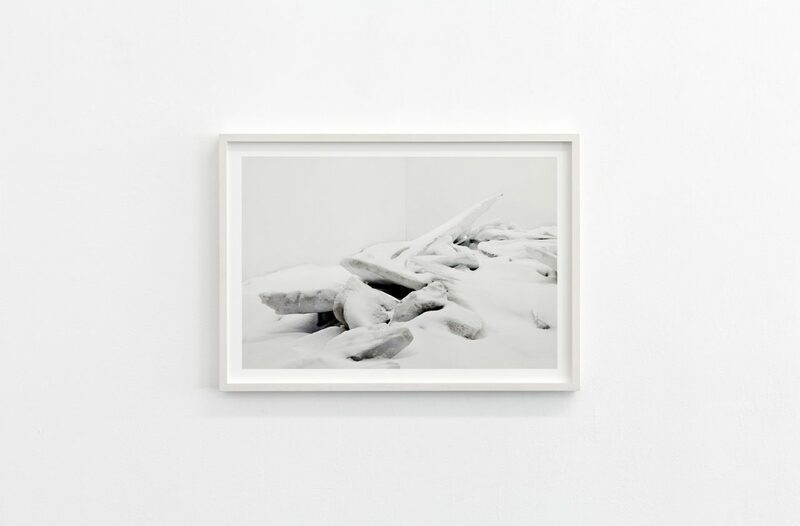 For « SEKTION », his solo show at Galerie Christophe Gaillard, Fabian Knecht chose to gather four gestures. 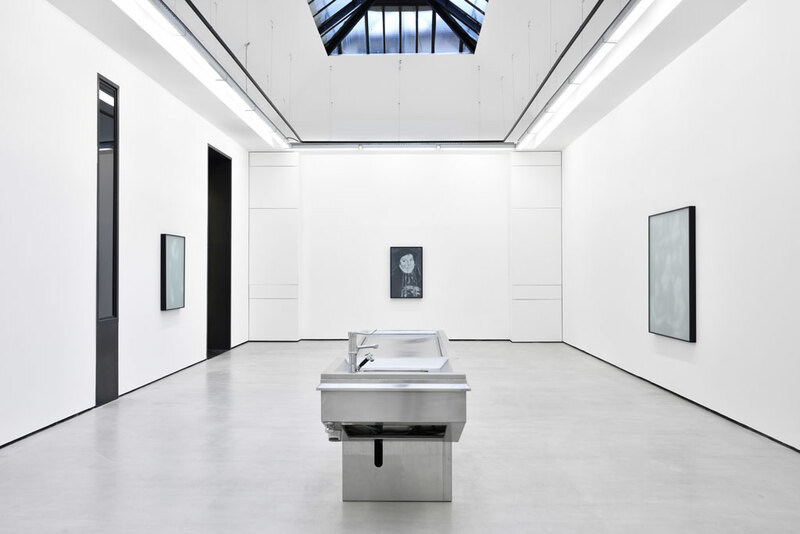 Even though he points out that each of them could potentially be the object of a monographic presentation, the works shown here all jeopardize art’s superstructure. It is not so much the activity of producing an image, a form or a sign that is the subject here, but rather the conditions of « appearing » ; that is to say, the intricate network of historical, economical and social relations that together define this alternative reality called art. 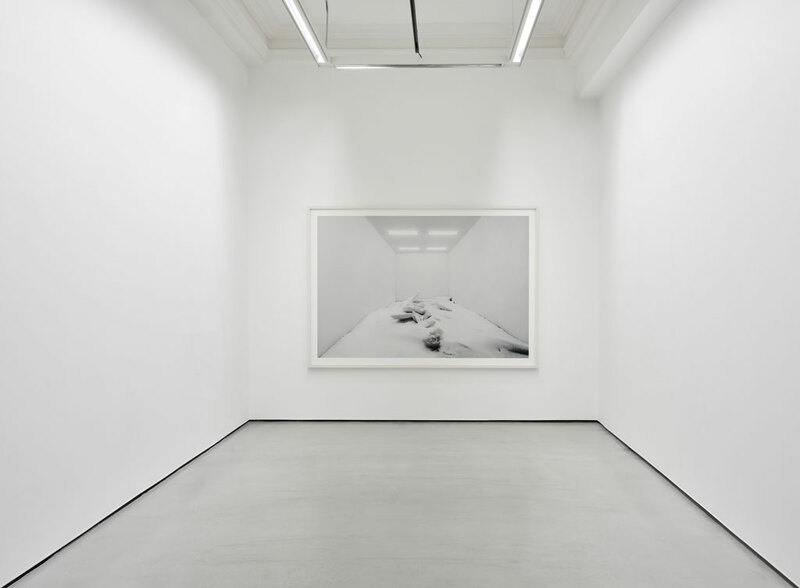 Starting with the white-cube, hijacking all that is sensitive, a mere presentation convention which consists in extracting the presented artefacts from their production environment. 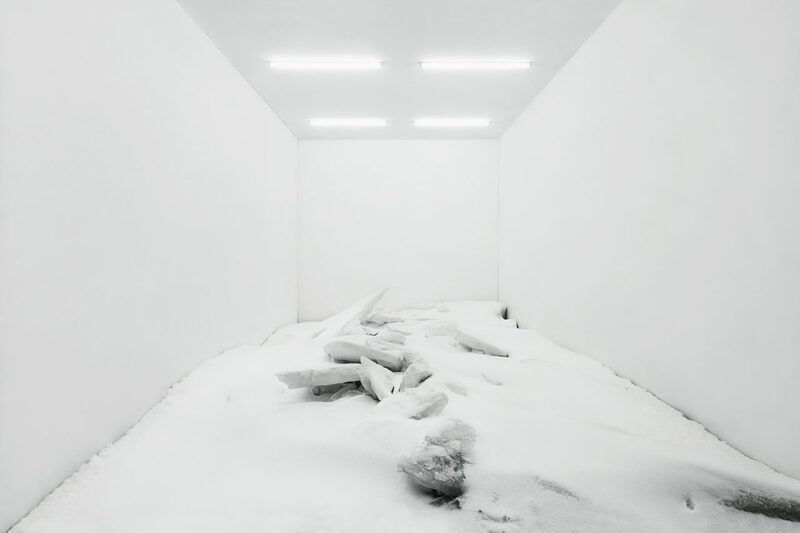 With ISOLATION (Eismeer), the artist offers to reverse the process : not bringing the content back into the artistic container, but on the contrary by directly installing the container in open country and raising its content to the level of a work of art. The white-cube becomes a sculpture, and the surrounding nature its pedestal. 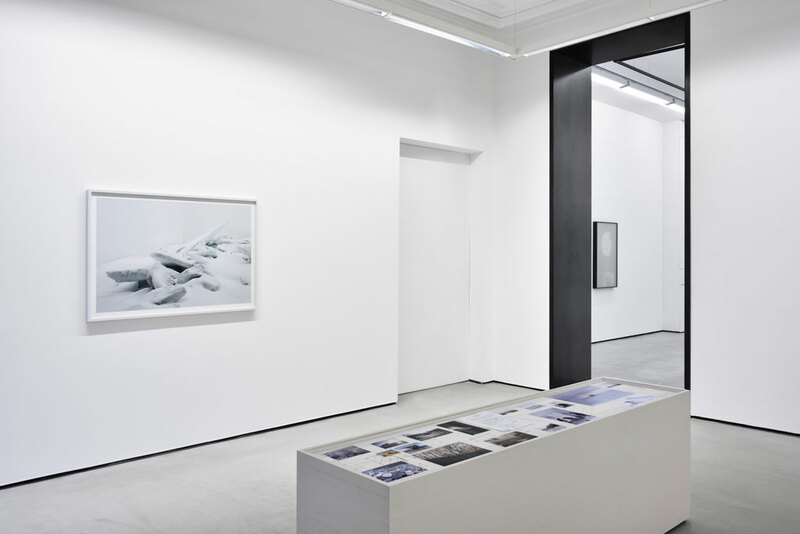 As an introduction, the artist presents the intervention’s fourth occurence, set on the frozen Sea of Japan, in Vladivostok, Russia, that he documents using large format photographs as well as a display presenting the various steps in the elaboration of the work. Straight away, the almost magical transmutation capacity of the institutional exhibition context is disqualified. This dissection of the impenetrable fortress called art, an apparently grip-less shell that escapes and eludes any and all who would try to catch a glimpse of its internal machinery, is then echoed in a series of more specific actions. 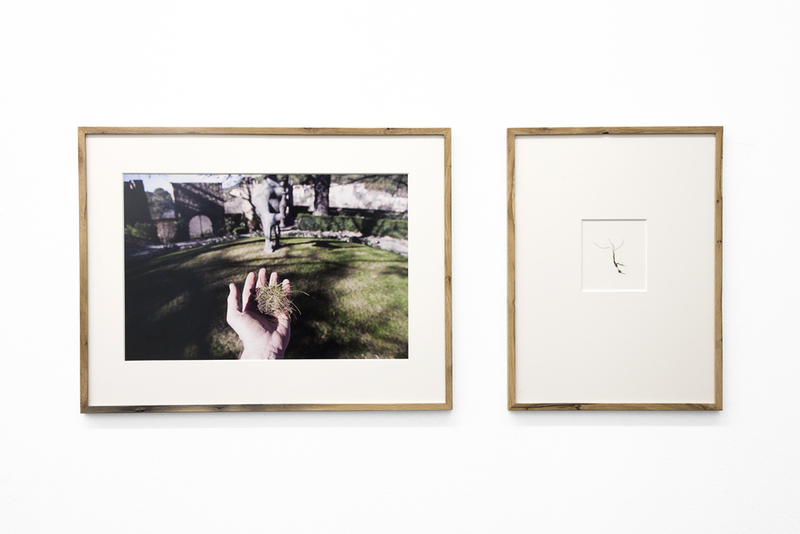 ZERSETZUNG is a simple photograph picturing an apparently unremarkable scene : an open hand holds in its palm a handful of plucked grass, while in the background a green landscape takes shape, a statue standing out in the lawn in front of a stone building. We will eventually find out that this statue is in fact an unknown artwork by Picasso, entitled La Femme au Vase (Woman with Vase) which was exhibited with Guernica at the World exhibition of 1937. Today, the sculpture sits on top of Picasso’s grave in his Vauvenargues Castle next to Aix-en-Provence. Braving the security system surrounding the site, Fabian Knecht managed to climb over the outer walls and picked these few blades of grass. With a twist on the title of the famous documentary directed by Chris Marker, Alain Resnais and Ghislain Cloquet Les statues meurent aussi (Statues die too), Knecht seems to salute – or thumb his nose at – the long gone artist, one final time, whose immaterial mythology lives on forever. A similar way of thinking can be found in the RESTAURATION series which also strives to re-inject play in the monumental. This time, the icons in question bear the name of Rembrandt, Dürer, Cranach and Rubens. 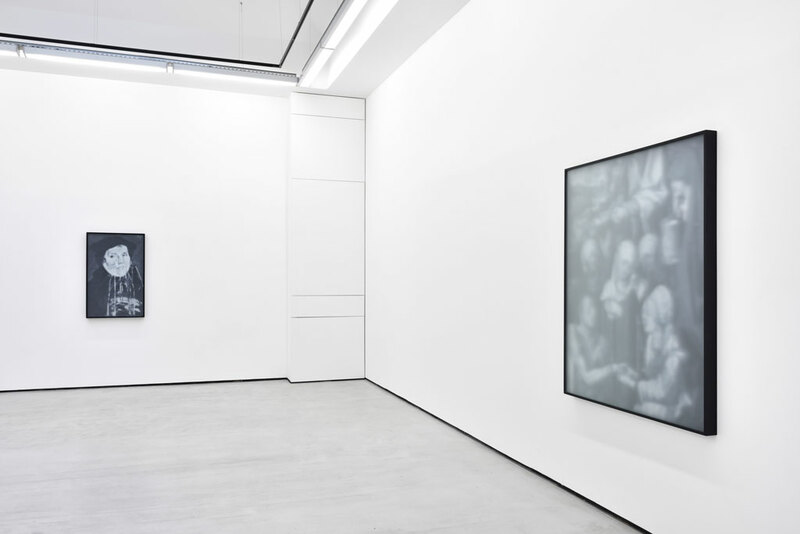 Starting with photographs of a news story, the destruction by acid of around fifty masterpieces by one Hans-Joachim Bohlmann in the 70’s and 80’s, Fabian Knecht develops a technique allowing him to reproduce these canvases in painting. Thus each photograph is decomposed into a precise number of squares, which will then be reproduced in various shades of grey in acrylic on wood. By framing the final result behind a blurred glass panel, indistinctness is pushed to its extreme ; the subject will only appear provided that we move through space in order to assess the appropriate distance. 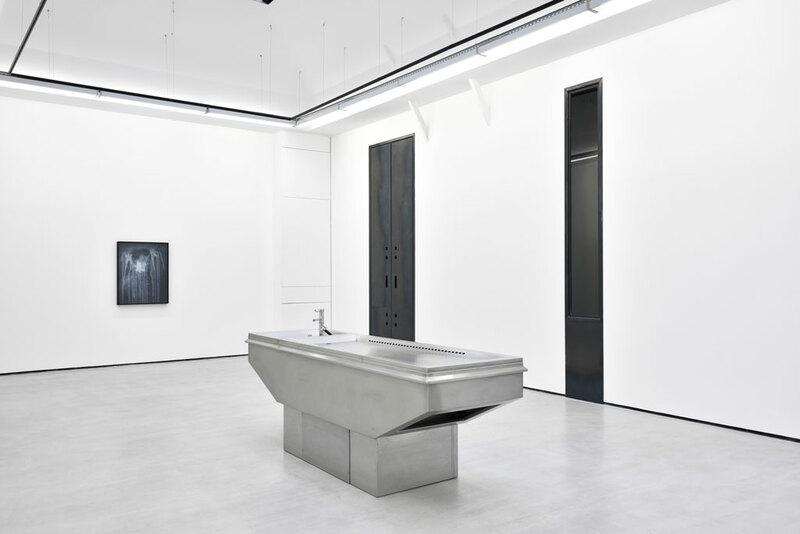 The stainless-steel dissecting table taking center stage spells it out : if the artist indeed undertakes a critical re-reading of various doctrinal issues in art history, its myths, its apparatus, its institutions, it nevertheless has nothing to do with overturning the system. On the contrary, by a series of operations involving dissolution, dissection or displacement, the authority figures only become more ambiguous, more contextual. Because it makes no doubt in Fabian Knecht’s mind : where we publicly tear down a statue, a new one will soon rise. 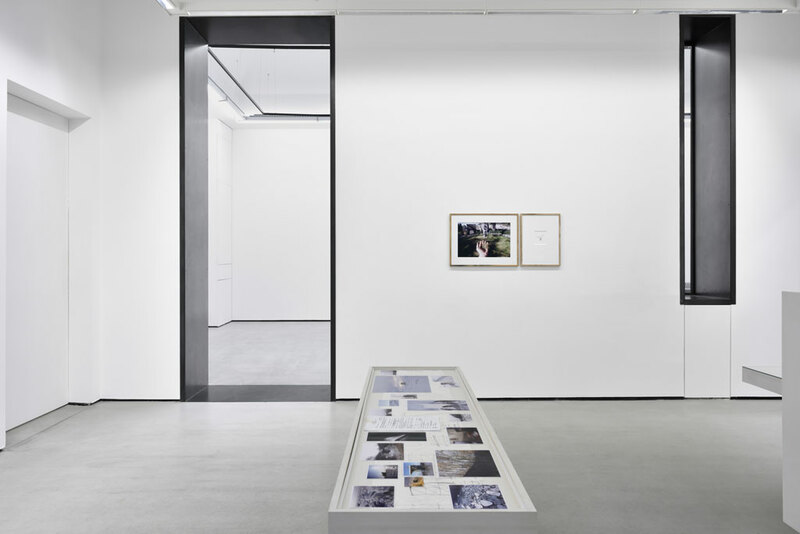 The re-evaluation of ideals, changing the way we see things can only take shape through the patient undertaking of micro actions*, led with surgical precision, through this gesture of « section » which gives the exhibition its title. 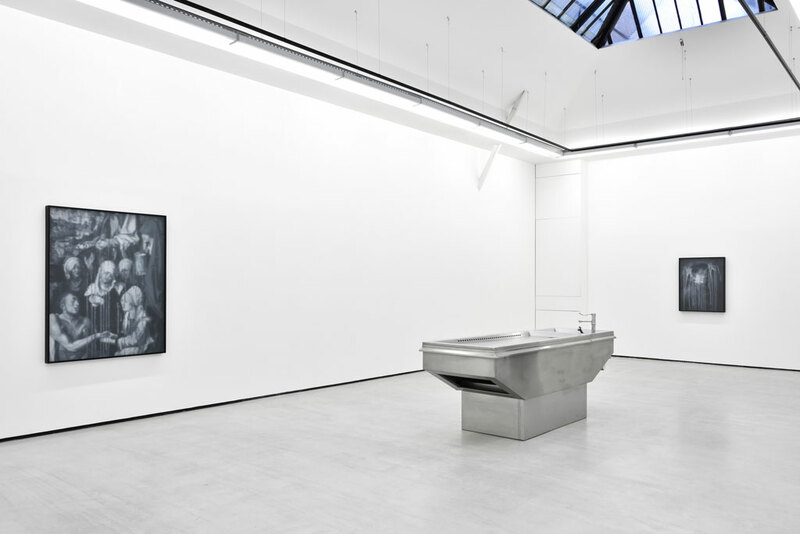 Fabian Knecht ‘SEKTION’ Installation view at Galerie Christophe Gaillard, Paris, 2017. Image: 180 x 225 cm. Unique artwork. Courtesy the artist & Galerie Christophe Gaillard. Image: 90 x 130 cm. Unique artwork. on cardboard, oak frame. Image: 50 x 65 cm, 50 x 38 cm. Edition of 4 ex.